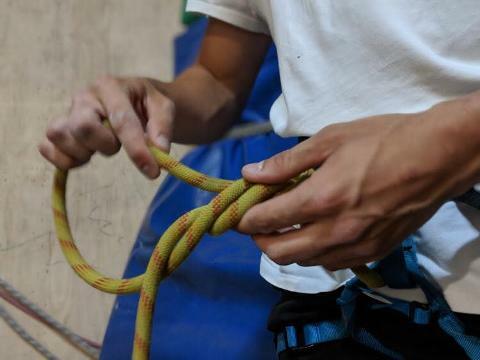 TIO @ Climb Fit - Learn to Top Rope! The Ultimate Indoor / Outdoor Climbing Conversion! 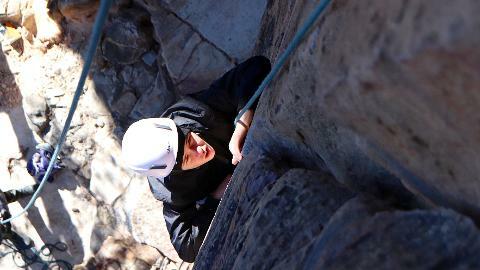 This Climbing course is comprised of 3 indoor sessions and 1 full day outside. 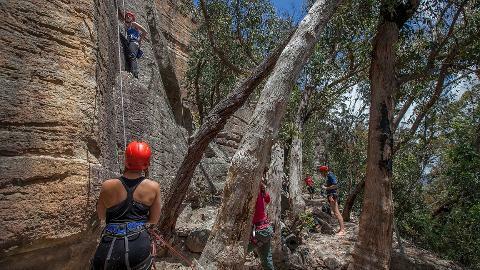 Sydney is famous for its sun and surf, its’ also famous for World class indoor climbing and some awesome beach side crags! 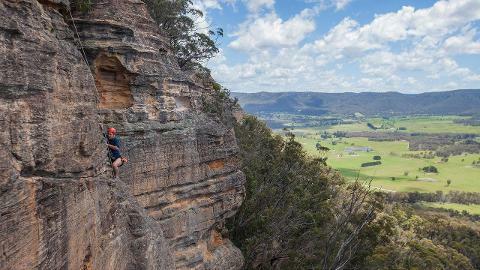 ASM have developed a unique training program for climbers who want to undertake the exciting transition from indoor to outdoor climbing, right in the heart of Sydney. 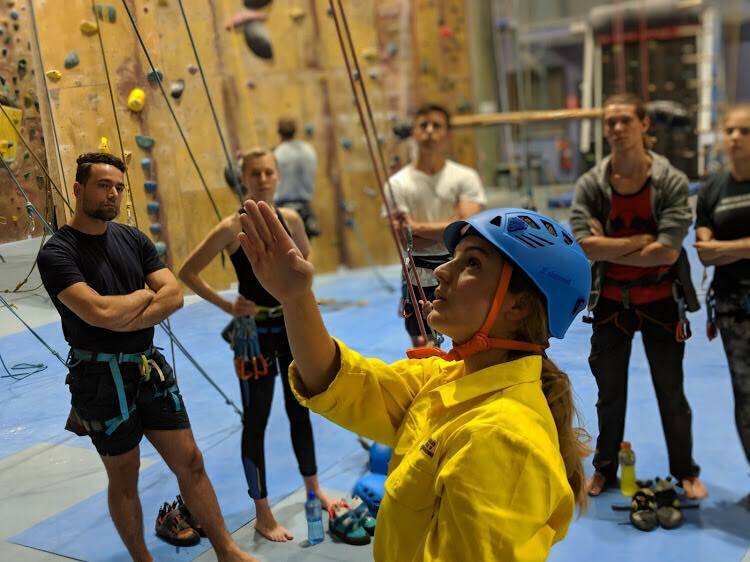 Take It Outside is designed to apply your current fitness, experience and technical skills in a way that will ensure you achieve some awesome outdoor climbing goals! 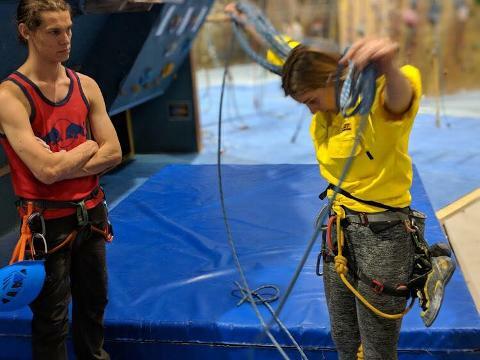 Our training focuses on developing the technical skills and knowledge you’ll need to rig, supervise and safely complete top-rope climbs on real rock! 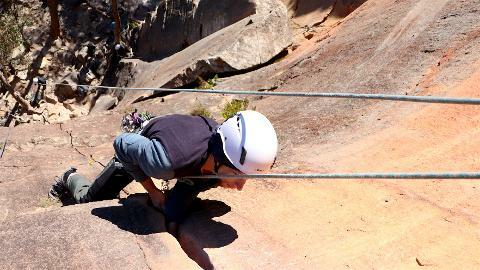 The TIO program consists of three intensive indoor sessions at our dedicated facility within the Climb Fit Centre at St Leonards on Friday evening and then we conclude the program with a full day of climbing at the amazing Barrenjoey Climbing Area on Saturday. 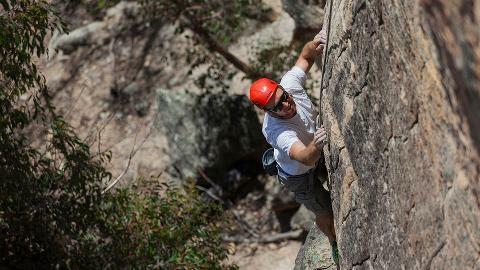 We do some awesome climbs at a breathtaking crag that overlooks Palm Beach and the Pacific Ocean, it’s truly inspiring! 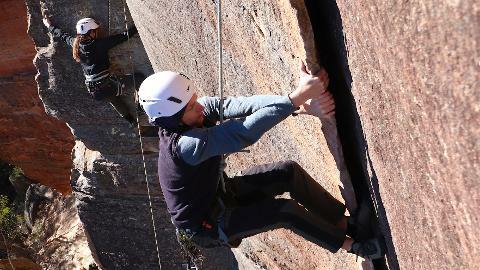 This activity is designed for participants with little or no previous outdoor climbing experience and indoor climbers of all levels can participate. 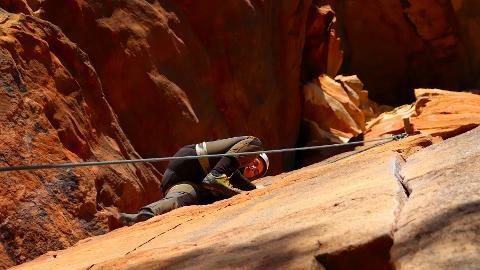 Instructional Content will include: Specific Climbing Equipment Requirements, Knots and Rope Handling, Top Rope Anchor Construction, Risk, Safety and Management Procedures, Abseiling, Belay Systems, Climbing Calls and General Crag Behavior and Etiquette. ASM will send you a full information package including what to wear / bring / general preparation etc. when you book. ASM supply all Climbing Equipment, Nationally Certified Instructors, All Climbing Guiding, Supervision and Training as well as Training Notes. Please note Course Participants will be required to pay standard entry fees upon arrival at Climb Fit St Leonards.